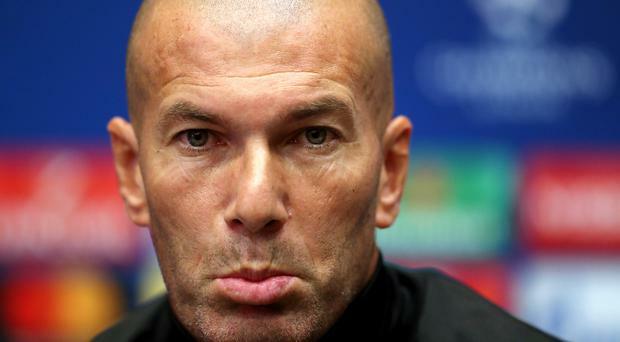 Zinedine Zidane believes Cristiano Ronaldo will leave a lasting legacy at Real Madrid like that of Alfredo Di Stefano. Ronaldo's brace in a 3-0 win against Juventus last week - which included an incredible overhead kick from the club's all-time leading scorer - has put Real firmly in charge of their Champions League quarter-final tie ahead of the return leg in Madrid tonight. Ronaldo's spectacular second goal was so impressive that even Juventus fans applauded it and Real president Florentino Perez has called the 33-year-old the "great heir" to Di Stefano, who won five European Cups and scored 308 goals in 396 games between 1953 and 1964. "I am not thinking about being without Cristiano Ronaldo, this is what we have and we are happy," Zidane said. "There are many people who still remember Di Stefano and rightly so. I am one of those people. They will also remember Cristiano Ronaldo at this club. We must enjoy this player." Juventus were beaten in last year's final by Zidane's side and are on the verge of being eliminated by the Spanish giants once again. Meanwhile, Bayern Munich host Sevilla in their Champions League quarter-final, leading 2-1 from the first leg.